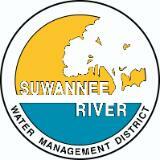 The mission of the Suwannee River Water Management District is to protect and manage water resources to support natural systems and the needs of the public. The SRWMD is one of Florida’s five regional water management districts and is the state’s smallest water management district in terms of geographic area, population served, tax base, and agency staff. The SRWMD manages water and related natural resources in north-central Florida by providing water quality and quantity monitoring, research, regulation, land acquisition and management, and flood protection. Springs are among the most visible and prized natural and recreational resources of the District. We have more springs than any other region of Florida – we are, literally, the Springs Heartland of Florida. Therefore, achievement of the protection of the flows and water quality of our springs will best reflect our ultimate success in protecting the water resources of the region and the State. The District acquires lands for flood control, water quality protection, and natural resource conservation. Once these lands are brought under the District's management, they are made available for public use and enjoyment every day of the year. The District's land management strategies are designed to ensure a balance between public access, general public recreational purposes, and restoration and protection of the natural state and condition. through technical assistance, cost-share funding, interagency coordination, and outreach and education programs. Effective water management requires accurate information on the status of water and related natural resources. Collecting and analyzing data from monitoring networks allows the District to understand how natural resources change over time and how to protect their ecological integrity.